Fascia iliaca compartment block (FICB) is an increasingly popular analgesic technique in elderly patients with hip fracture. Despite requiring large volumes of local anaesthetic, there are no plasma pharmacokinetic data on FICB in elderly patients. The objective of this study was to determine the pharmacokinetic profile of a levobupivacaine 75 mg (30 mL 0.25%) FICB dose in patients aged ≥ 80 years with fractured femur. This was a single-arm descriptive pilot study. Twelve adults aged ≥ 80 years with hip fracture received FICB performed under ultrasound guidance. Venous blood was sampled at 10, 20, 30, 45, 60, 75, 90, 105, 120 and 240 min after injection. Total plasma levobupivacaine concentration was measured by mass spectrometry. The main outcome measures were pharmacokinetic parameters, including maximum observed plasma concentration (Cmax), time to reach Cmax (tmax) and area under the plasma concentration–time curve. The median (interquartile range [IQR]) Cmax was 0.82 μg/mL (0.47–1.03). tmax was 45 min (41:20–60:00). No evidence of toxicity was identified. Plasma levobupivacaine concentrations were below the threshold associated with toxicity in younger, healthy patients (2.6 μg/mL). No association was found between individual patient Cmax and α1-acid glycoprotein, weight or body mass index, although the study was not powered for these outcomes. Absorption of levobupivacaine was slow and all patients had plasma concentrations below the toxic threshold. 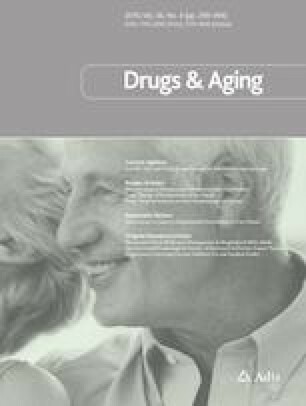 This pharmacokinetic analysis concludes that the technique appears to be well-tolerated and efficacious at reducing pain and is associated with systemic plasma concentrations unlikely to be associated with major adverse effects in elderly patients. ISRCTN27364035 (UK Clinical Trials Gateway). We wish to thank Toqa El-Nahhas for her assistance in processing the blood sample analysis at the Analytic Services International Laboratory. This study was supported by a National Institute of Academic Anaesthesia (NIAA) and Regional Anaesthesia-UK (RA-UK) research grant. Atholl Johnston is the Facility Director at Analytical Services International Ltd, St George’s University of London, where all sample analysis was conducted. Peter M. Odor, Alison G. Cavalier, Neal D. Reynolds, King S. Ang, Simon J. Parrington, Hua Xu and Frederic J. Sage declare no conflicts of interest related to this study. The study was approved by the London – Central Research Ethics Committee (REC reference 16/LO/1321) and Health Research Authority. The study was conducted according to the Helsinki Declaration, International Council for Harmonisation of Technical Requirements for Pharmaceuticals for Human Use (ICH) Good Clinical Practice recommendations and applicable local regulations. Written informed consent was received from all subjects prior to the conduct of any study-related procedures. National Institute for Health and Care Excellence. Clinical guideline 124: the management of hip fracture in adults, 2011. https://www.nice.org.uk/guidance/cg124. Accessed 26 Sep 2018. New York School of Regional Anaesthesia. Ultrasound-guided fascia iliaca block. 2013. https://www.nysora.com/ultrasound-guided-fascia-iliaca-block-2. Accessed 26 Sep 2018.